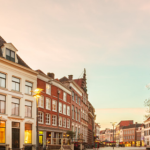 I’ve hosted over 150 groups of guests in my apartment in Amsterdam on Airbnb. One things that keeps surprising me is that almost none of my former guests have asked for a discount before making the booking. A big mistake, if saving money is something that you value. 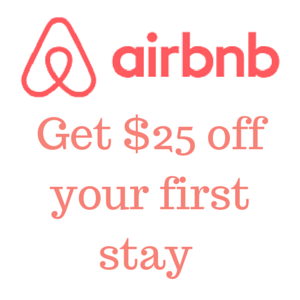 I’ve used Airbnb as a traveler and in my experience you can get up to 25% off the listed price. How? Just follow my easy seven step negotiation system. However, do not use this against me when you book my apartment in Amsterdam off course :-). New to Airbnb? Signup now to receive $25 in travel credit! In order to have a good negotiation position, it is essential that you have options. You need to have the power to walk away. Five to ten listings is a good amount to start with. When you select your listings, Airbnb shows only those that are available. However, not all hosts update their calendar regularly. There is a good chance that not all listings that you picked will be available. My name is Jasper and I’m a fellow host from Amsterdam. I am an online entrepreneur and have you been traveling the world for five years. You can find more information about me or my travel blog, The Traveling Dutchman. I will be traveling with a good friend who is also an online entrepreneur. I am planning to travel to your city Wednesday March 18 to Saturday March 21st. Your apartment looks great and I was wondering if it is available for my dates. This well-crafted, polite message will create a good impression of you as a person and provides your host with information. In addition, your host will appreciate the compliment. As a result, your host is more likely to (1) approve you as a guest and (2) offer you a discount. This is where most Airbnb users miss out. Hardly anyone asks for a discount. Why not? Takes a few minutes and there is no downside. I would love to stay at your place but unfortunately your price is outside of my budget. Would you be able to offer me a discount? Hopefully we can work something out. You will find that most posts will offer you a discount, but not everyone. Sometimes the host will come back and ask you what your budget is. I recommend responding with a price that is about 30% lower than the listed price. From my experience, hosts will not discount more than 25%. Therefore by setting your price 30% percent lower you will still be able to get the lowest price without making an unrealistic offer that may offend the host. As soon as you get a reply from your host, respond by letting the host know that you have alternatives. On Airbnb, a high percentage of inquires result in bookings. From the hosts’ perspective, when you get an inquiry, it feels like you’ve almost secured a booking. To hear that the potential guests are looking at other places creates a fear of losing the booking, which makes it more likely that the host will be willing to negotiate. Thank you so much for your offer, I really appreciate it. I’m just waiting to hear back from some other hosts and I will get back to you shortly. After hearing back from all the contacted hosts, you have an idea of how much they are willing to drop the price. You should give it one more shot to get the price down even more. In most cases your host won’t be willing to go down very much especially if the price has been discounted already. However, it’s worth a shot. I recommend you offer your hosts a price of around 10% to 15% lower than the quoted price. Your offer of $400 is still a little higher than my budget of $300 per night, but if you can come down to $360 I will take it. This is the final step! After asking for a discount and offering a lower price it is very unlikely that further negotiation will bear any significance results. However, to do so you will run the risk someone else will book the listing. Therefore, at this point, I recommend you just book your favorite option. Pro tip: before you book, check out the cancelation policy so you know until when you can cancel in case your travel plans change! Special offer: Join over 500 students and buy my video course for only $9 (from $29) and see how I negotiate almost 25% off my stay in Kuala Lumpur and get my travel ebook as a bonus! 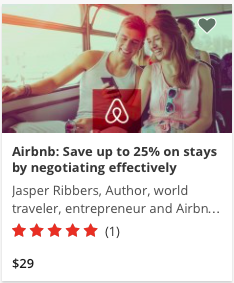 I’ve stayed at Airbnb places a few times, but I didn’t know I could ask for a discount. Thanks for the info, next time I travel I’ll try to negotiate one. Hmm. If you book, won’t you be charged the standard amount? How do you get the discount? Hi Darren, you’d have to message the host through the “contact host” button and inquire instead of requesting a reservation. Thanks for the article. How early should I book to have a better chance that hosts would offer a discount? I think last minute you have a better chance, if it’s a long time ahead the host has a lot of time to fill up the calendar. yep I’m still renting it out, I’ll send you an email!